Sacred Heart College in Johannesburg was founded more than a hundred years ago and in 1979, long before the rest of South Africa made the move, it opened its doors to children of all races. But today it’s more than a school that reflects the diversity of South Africa; the school also believes in a values-based education that produces children who can think critically and succeed in a changing world. This type of purposeful learning philosophy requires a forward-thinking and innovative approach and it’s this approach that resulted in a strong investment in Apple technology at the school. “When we saw the power of this device we knew that it was going to play a role in education in the future. Especially in a school that has a great interest in 21st-century learning,” says Colin Northmore, head of college: Sacred Heart College. 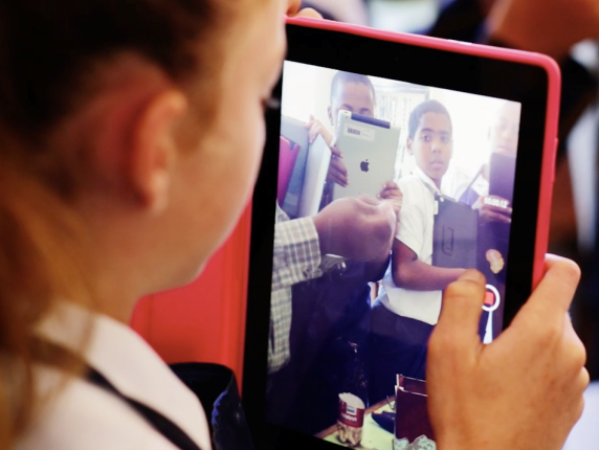 Today every teacher and student at Sacred Heart College has access to an iPad, and the change at the school has made a difference not only to the success of the school but also in the life of every student and teacher who gets the opportunity to use the devices. The school can now cater to the individual needs of each student: those who have the ability to move quicker do so and those who are slower can now move at a pace that enables optimal learning. 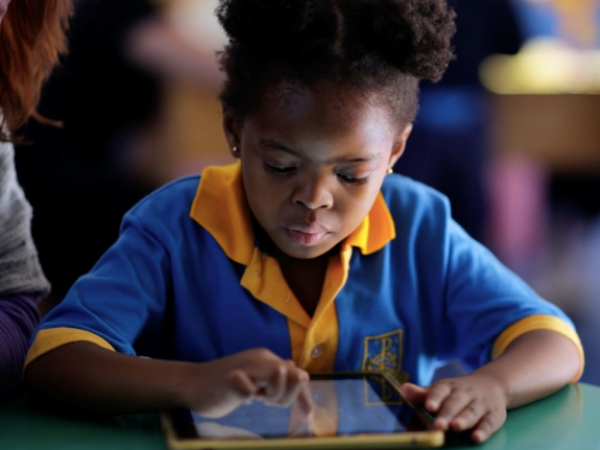 iPads have removed barriers to academic achievement and created a more hands-on and dynamic learning environment. By creating their own experiences on iPad, learners now have more control over their learning and focus more on the end product. “The iPad was actually a turning point. You can grasp quite quickly that it actually changes the game dramatically,” says Northmore. Every Grade 7 student has their own iPad. Students at Sacred Heart use iPads throughout the day to access subject materials, record notes, create projects and search online for supplemental information about the topics they’re learning about. Teachers have also discovered creative ways to integrate iPads into their teaching to make lessons fun, interesting and packed with activity. Here are two apps that are especially helpful: the My Story app and the Essential Skeleton. The My Story app combines language and visual learning to build vocabulary and language by allowing students to demonstrate their skills in an engaging way, and teaches them social skills through teamwork and presentations. Essential Skeleton is a 3D medical app that teaches about anatomy and lets students experience virtual discovery. They can choose the aspects they want to be challenged in and progress at their own rate, which means they have fun and learn – without even realising they’re tackling a difficult concept. - The Emmaius Centre caters for students with special needs at Sacred Heart College. 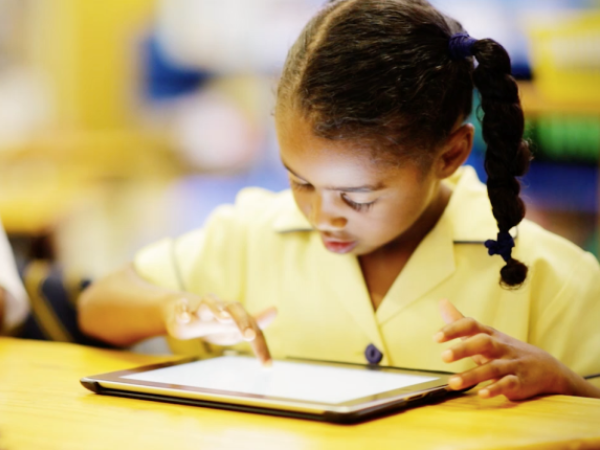 Here iPads allow the school to meet the needs of individual students who may have specific barriers to learning and iPads are used as a remediation and reinforcement tool. - The Knowledge Cafe is a session that runs once a week and affords teachers the opportunity to share to share ideas, successes and their experience with using iPads in their lessons. This allows for knowledge to be shared across all areas of teaching and facilitates collaboration among teachers. - The 3 to 6 Project is an after-school initiative for underprivileged refugee students who don’t attend school. The iPads are used regularly to aid in-depth learning and understanding of basic numeracy and literacy concepts during this time. - Some students at Sacred Heart College have special requirements when it comes to writing exams. The iPad is regularly used as an audio tool so students can listen to their exams. These students no longer need to have special venues arranged for them. - The registration of all extramural activities in the primary school is done on the iPads and attendance is managed through an app by teachers. - Sacred Heart College is the first school in South Africa to develop a course on iTunesU which is based on a successful project it ran with its Grade 7s. The course allows learners to create their own interactive books using an app called Composerand teaches them to be creators of content rather than just users. It’s allowed them to develop critical skills including time management, teamwork, creativity, music composition, marketing, problem solving and technical app development.